Three boys in the White Knights Club take on the challenge in their day-to-day lives, just like the knights of King Arthur's court, to prove their faith by their works—protecting “damsels in distress,” defending the weak, and honoring their God and King. This story challenges boys to live chivalrously—in their homes, neighborhoods, and communities. From Mary of Mt. Juliet, Tennessee on 2/15/2018 . This is a wonderful story that teaches great, Biblical lessons. At first I worried it wouldn't be very interesting but much to my surprise it had a plot that kept me guessing right up until the end. Awesome book! An excellent book for boys, ages 7+, that champions honor, keeping your promises and gives examples of how to live as a gentleman. Boys will be inspired to greater effort to join in the community of men who have chosen real, God-honoring manhood as their modus operandi. 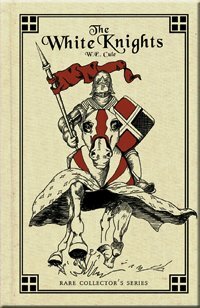 While the setting is turn-of-the-century England, this book includes references to ancient Knights and their heroic examples of assistance. Highly recommend!